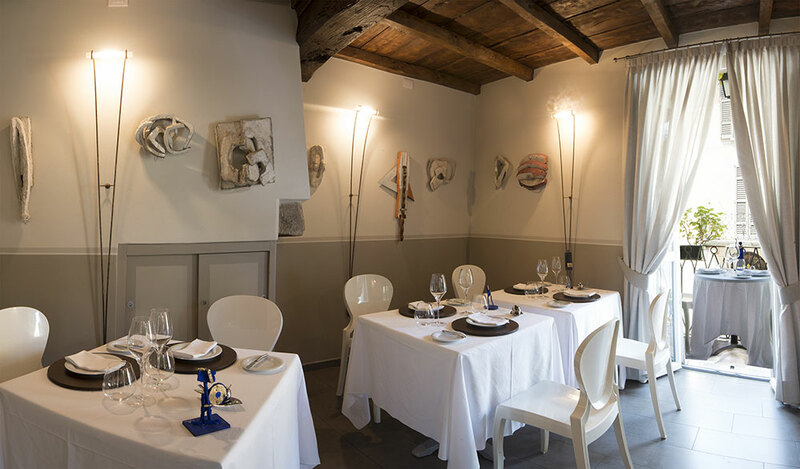 The intimate room with a clean contemporary design for just over 15 guests is on the first floor of the historic Locanda di Orta, the perfect setting for special moments. 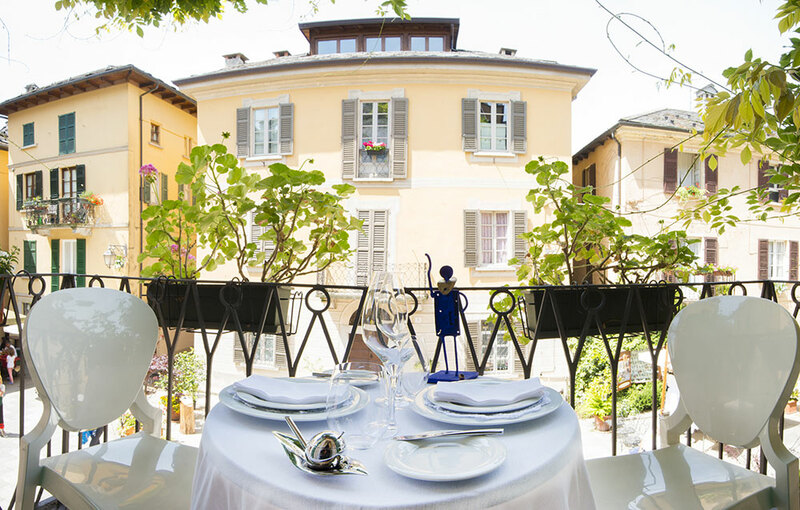 Linde linen tablecloths, relaxing neutral colors, contemporary art, and for the most romantic a wrought iron balcony with its lush wisteria and a single table for two overlooking the square. Ideal for a wedding proposal or a special occasion during the summer months. 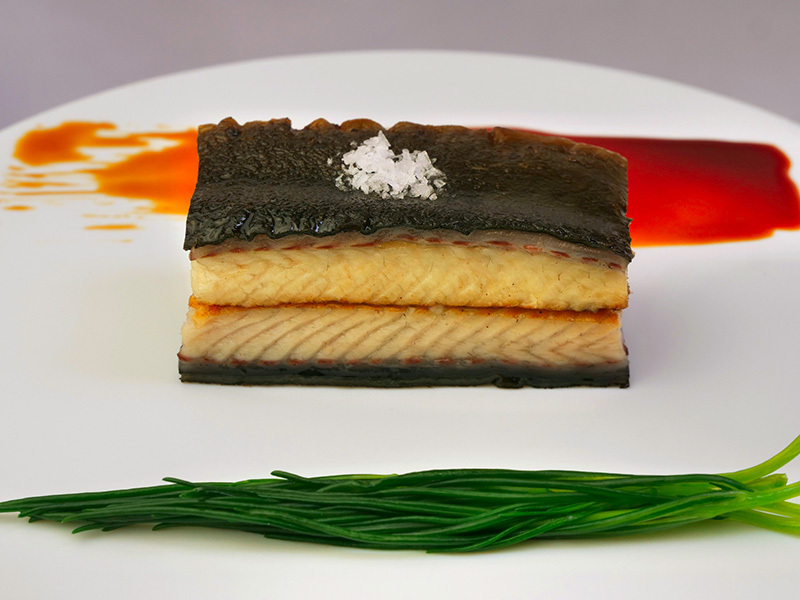 For the pleasure of true lovers of taste, the restaurant offers a cuisine of fresh flavors and new creative combinations signed by chef Andrea Monesi. Research of raw materials, an attentive eye to the territory, an innate passion for excellence, make Andrea’s kitchen an extraordinary meeting between tradition and experimentation. The rich wine list, with over 600 national and international labels, is meticulously curated by Sara, a committed maitre and sommelier who watches over the guests of the restaurant and offers combinations with dishes chosen with professionalism, authority and a spirit of experimentation that completes the culinary offer of Andrea.